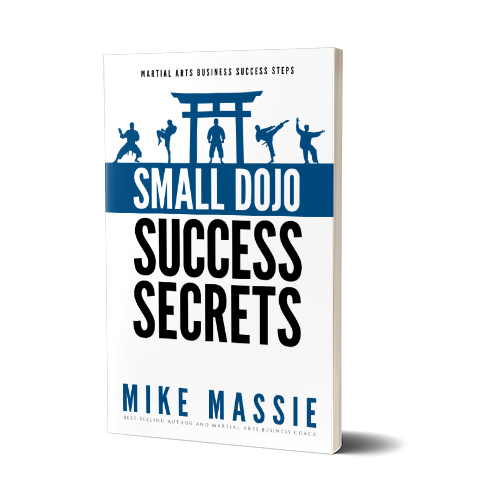 Yesterday in the newsletter I wrote about faulty operational strategies that lead to cash flow issues, that in turn can greatly contribute to the failure of a martial art school. “How many students do you have? In other words, what’s your active student count?” I asked. “Oh,” he replied. “Around seventy students.” After getting him to check his attendance records to get me an accurate number, we found that he did indeed have around 70 students actively training in his school. “And what do you charge per month for tuition?” I asked. “$99 a month.” A little low, but even so he wasn’t pricing himself as a bargain basement service. The conversation I just shared with you is one that I commonly have with new business coaching clients. The number one issue that clients come to me with is that they’re having cash flow issues. And typically after a little digging I find that they are contributing to those issues by not collecting their own damned money. In the scenario above, the school owner was in fact undercharging for his services, but that’s really not his most crucial mistake. His worst mistake was being too nice for his own good. School owners do this all the time; they become too close to their clients, trying to befriend everyone in their school because they want to be liked by their students. And I did the exact same thing early on in my career as a martial art school owner. However, this will eventually become a problem when students decide that they shouldn’t have to pay their “friend” for lessons. Because they are “friends” with you, they figure they deserve a discount, or that their “friend” won’t mind if they miss a payment, because they’re having a tough month. And you, as their “friend,” feel really strange bugging your “friend” about money. After all, a “friend” is supposed to do you a solid when you’re hurting for cash, right? Besides, they just told you they couldn’t afford to pay you the full tuition rate anymore, or that they only needed a few weeks to get the money, or that they really needed to skip this month’s tuition payment. I mean, they must really be hurting, right? So, in order to avoid any uncomfortable situations, you stop bugging them about their tuition payment and just let them train for free at your school. For free. At your school. Never mind that this is your livelihood, or that you have bills to pay, too. Let students do this to you a few times, and before you know it you’ll have a rather sizable percentage of your students paying you what they want, when they want for your services, instead of paying you the full tuition rate on the first day of each and every month. 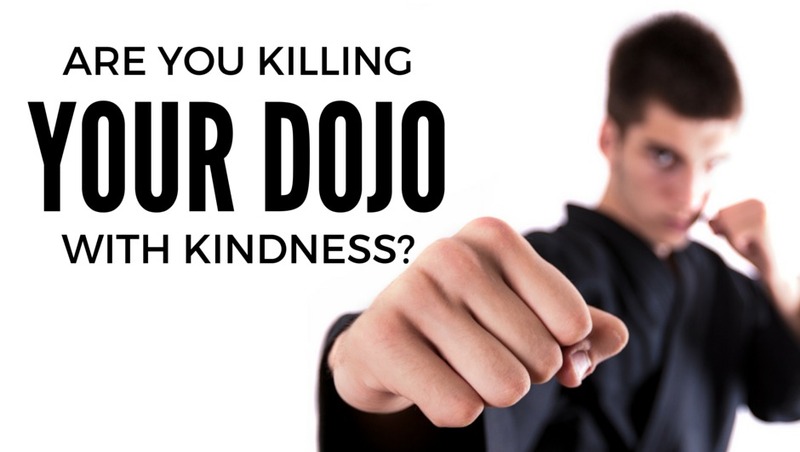 And as a result you’ll soon find that you can’t pay the rent or utility bill for your dojo on time, each and every month. Unfortunately, your landlord and utility company won’t be nearly as understanding as you are with your clients. No matter how much you think your clients “like” you, they really don’t give a damn whether or not you can pay your bills on time each month. That’s a fact. People are generally highly driven by self-interest, and their primary concern is whether they can pay their own bills each month. Not only that, but when they spend a little too much on vacation, or they go overboard at Christmas, or they take on a car payment that is a little too steep, they’re going to skate on whatever bill or bills cost them the least amount of pain to not pay. Guess which bill that’s going to be if you’re a pushover? That’s right, martial arts lessons. When you get too familiar with your clients, they are going to take advantage of your kindness and goodwill, each and every time. Oh, not everyone will do this to you, because not everyone is a turd. But enough will take advantage of you to make it harder on you financially than it should be. And those people who do take advantage of you won’t miss a wink of sleep about it. The solution to this issue is to run your business like a business. “Business” being the key word. Try calling up a plumber or HVAC repair company and telling them that you need them to fix your plumbing or HVAC system, but you can’t pay them full price because you’re having a bad month. They’ll laugh right in your face. Or try going to your electric company or mortgage company and telling them that. They’ll only let you float for so long before your utilities get turned off or they start foreclosure procedures on your house. And why is that? It’s because they understand that businesses run on capital… cash. And they know that they won’t stay in business long without getting paid. So, set your prices, and stick with them. Set your tuition payment policies, and stick with them. Stop giving favors, stop making deals with people just to get them to enroll (that’s really poor salesmanship, by the way), and stop letting your students walk all over you. If they don’t pay, they don’t train. Simple. Problem solved. Once people figure out that you’re not a push-over, they’ll stop asking for breaks on tuition, they’ll stop asking for discounts and deals on enrollment, and they’ll stop shafting you on their tuition payment every month. …than it is to be “liked” by a bunch of deadbeats who are taking advantage of your kindness and generosity in order to skate on their tuition every month. P.S. – Yes, you can still have scholarship programs for people who really and truly can’t afford to pay your tuition rates. Read this book for advice on how to do exactly that, without screwing yourself in the process. Great article. You hit the nail on the head. I remember when I first started my school in 2003 I had these problems month after month until I got firm with my policies. Amazing how “friends” stop being “friends” when they don’t get their way isn’t it? Be courteous. Be professional. Show empathy, but be firm. I agree, Jason. Also, good to hear from you – hope your school is doing well. I agree, how do you feel about Family Discounts? So example first member is $99, but 2nd family member is $89… because we have lots of families of 4 or 5, so do I set firm on $500/month for that family, in our area that is pretty high for a family. So what is a fair family discount or should you not give them?